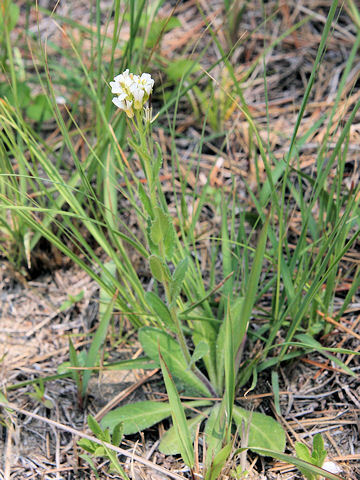 'Hama-hatazao' (Arabis stelleri var. japonica) belongs to Brassicaceae (Mustard family). 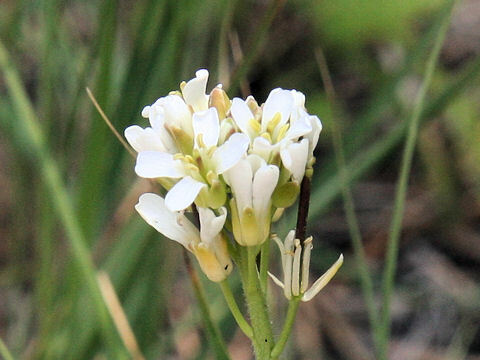 It is a perennial herb that is native to Japan, Korean Peninsula, Sakhalin and Kuril Islands. 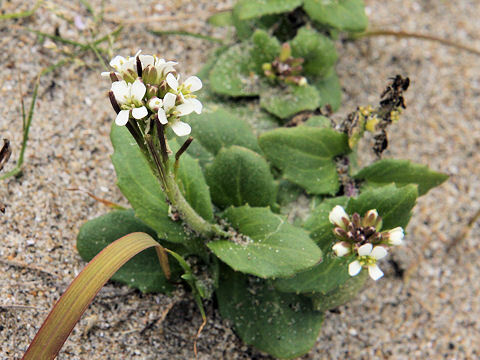 This herb occurs in maritime sands and can reach 20-50 cm in height. 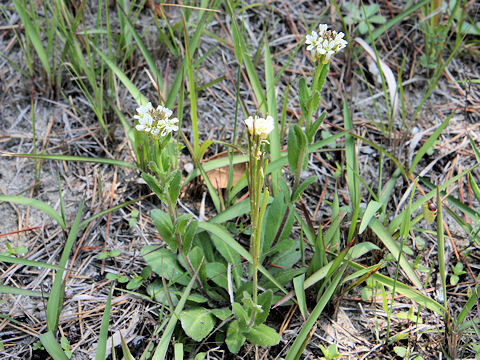 The stems and leaves are covered with white hairs. 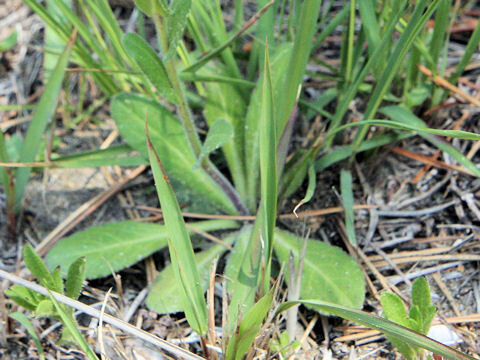 The basal leaves are spatulate with low toothed edges at the upper-parts of leaf blades. 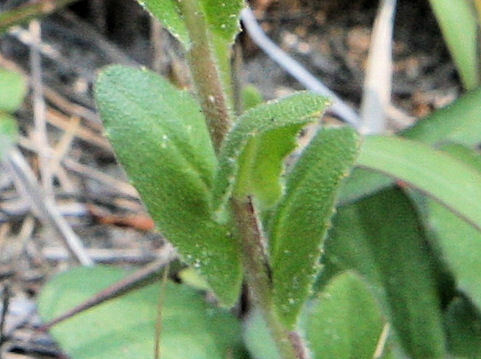 The cauline leaves enfold stems. 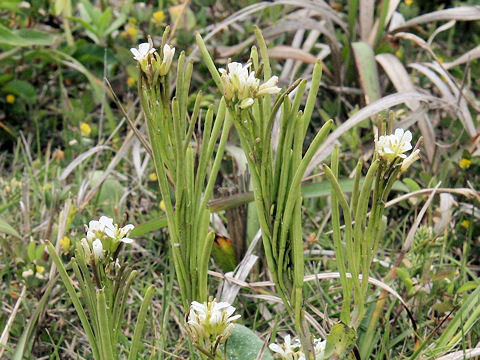 The racemes are borne on the stem apices and bloom white flowers from April to June. The fruis are linear siliques and attached firmly to stems.